Dear artist. We welcome you at SIM Claressa. You are invited to take part in our Gallery contest "WE ARE LINES. LINES WE ARE". 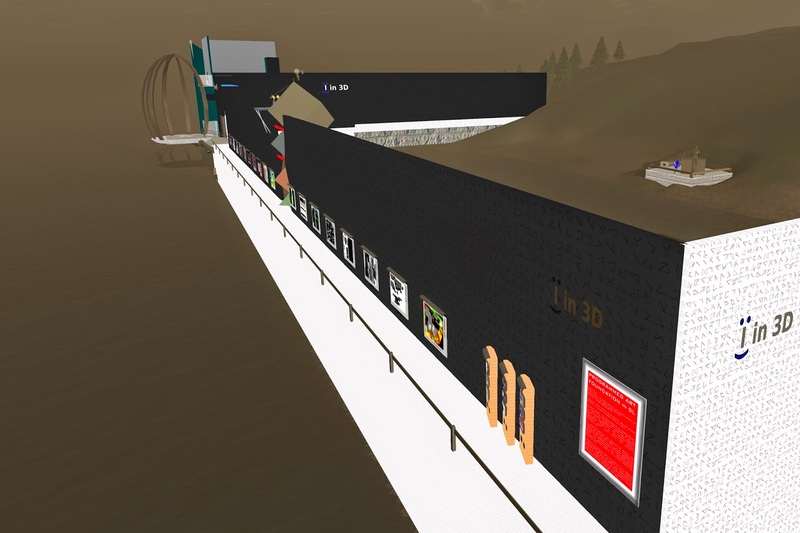 Even when you dont get the 100.000 Linden price that was donated by SR Hadden your work may be exhibited. Art Blue is in charge of the contest. He will set up the jury. 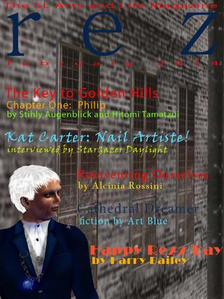 Art Blue has been in many art contests head of jury. You can be sure the competition will be a fair one. But nevertheless you have to accept "as it is". 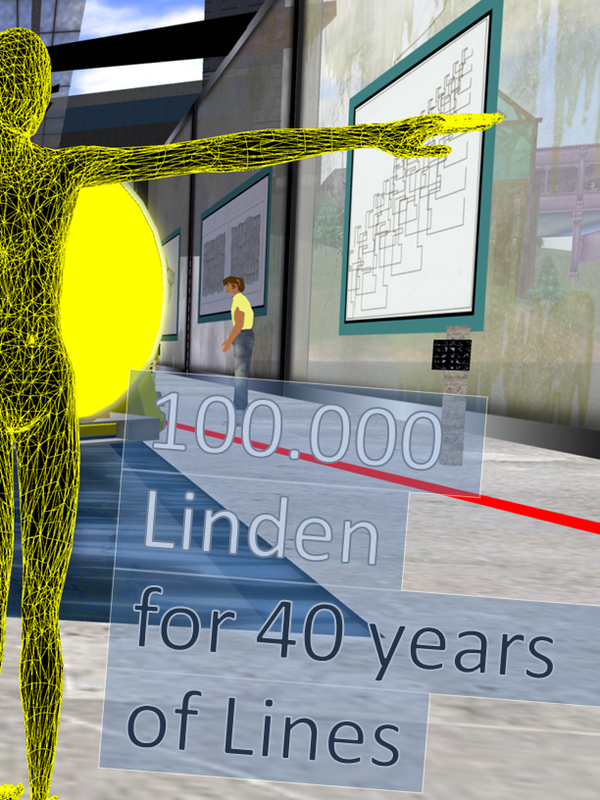 The 100.000 Linden price might also be splitted. When taking part you agree on the conditions. We talk about creativity, passion and fun. The price shall not be the main or only trigger for you to take part. 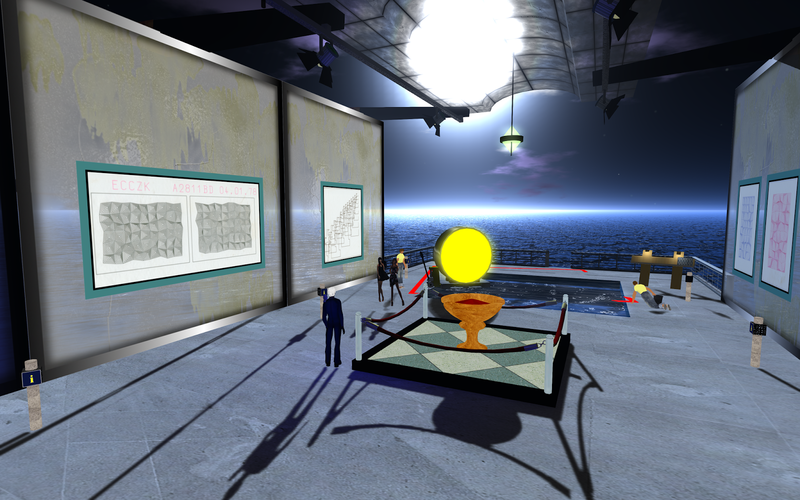 Half Mile Gallery and Water Gallery build the longest gallery ever made on the shore of RIFT HORIZON. 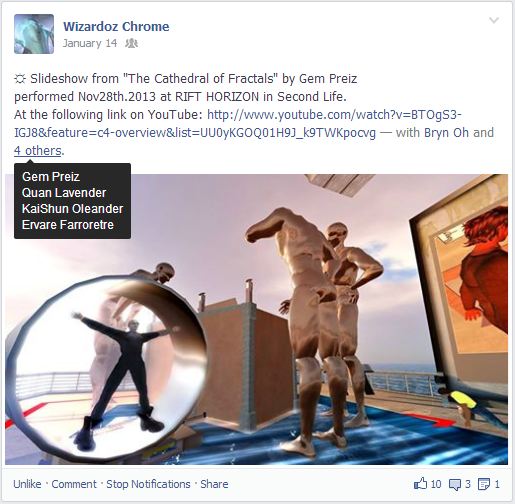 There is a copy of this installation at opensimulator worlds. The opensim servers are prepayed for 100 years . Our mission is to keep some of the early works of Digital Art forever alive. The Claressa Gallery complex uses TAGREZ, a technology that brings art to the screens when you wear the corresponding art tag. Water Gallery: 6+1 walls. This gallery is used for the grand opening of exhibitions and to give visitors a mission that one can experience in The Half Mile Gallery.Also performances with the da Vinci machine happen there. You and your friends may become a member of the group "Dont Panic" to get an invite.